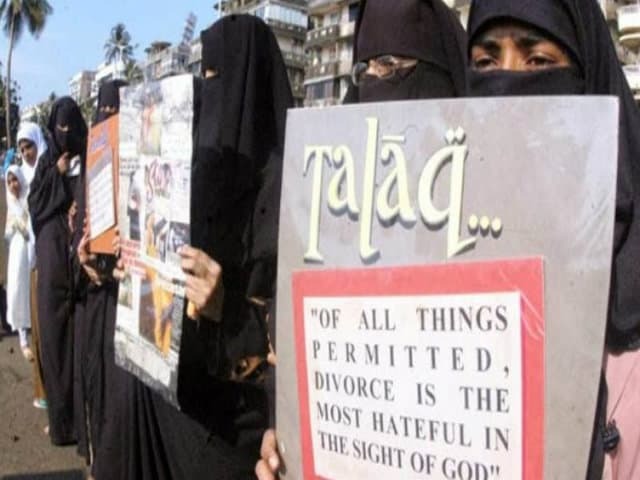 The triple talaq bill is aimed at liberating Muslim women from a “life of fear”, President Ram Nath Kovind said in his address to a joint sitting of both houses of Parliament at the beginning of Budget session on Thursday. Kovind said the government is “striving hard” to get the bill passed by Parliament. “With a view to liberate our Muslim daughters from a life of fear and anxiety and to provide them with equal right to lead their lives at par with other daughters, my government is striving hard to get the triple talaq bill passed by Parliament,” he said. While the proposed law makes it a ‘non-bailable’ offence, an accused can approach a magistrate even before the trial to seek bail. In a non-bailable offence, bail cannot be granted by police at the police station. A provision has been added to allow the magistrate to grant bail ‘after hearing the wife’. The offence of instant triple talaq will be ‘compoundable’. Now, a magistrate can use his powers to settle the dispute between a husband and his wife. This will happen only when the wife approaches the court. The proposed law would only be applicable on instant triple talaq or ‘talaq-e-biddat’ and it would give power to the victim to approach a magistrate seeking ‘subsistence allowance’ for herself and minor children. A woman can also seek the custody of her minor children from the magistrate who will take a final call on the issue.